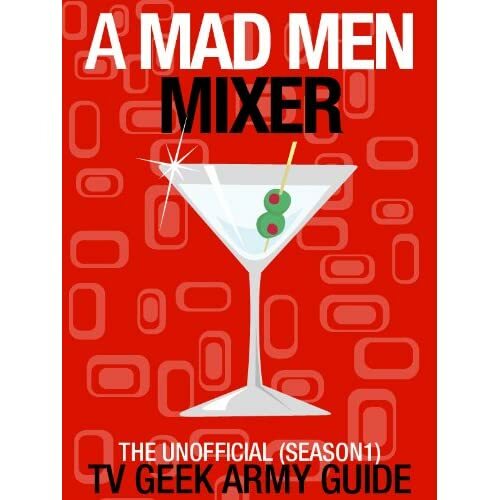 Posted on Friday, February 24, 2012, by Eric - TV Geek Army "Revered Leader"
Okay, we've now reached desperate times in the seemingly interminable wait for Mad Men's Season Five premiere (March 25th… just one short/long month out now). And that calls for desperate measures. Speaking of calls, we've unearthed an oddball voice mail message from none other than Don Draper to distract us if for ever so brief a moment. Wait a minute, you say. Voice mail messages didn't exist in the mid '60s, or answering machines either for that matter (I'd have to do some research to confirm, but I'd assume they were not in mass production at that time). And further, isn't a little bit bizarre that we're hearing Jon Hamm as Don Draper speaking in Hungarian? Maybe we're simply stuck in the middle of one of Don's Season Four drinking binges? No, not really. It's just Jon Hamm being the amazingly good sport and hard working actor that he is doing a spot for the Sundance Channel, which is syndicating the popular AMC show across Europe, and Metro Newspaper. It's almost enough to make me want to head back to Season Three to hang out with Don, Betty, and Conrad Hilton in Rome all over again. Anything to get through the next month, right? I'm not sure what's the most impressive thing about this: that Hamm as Draper manages to deliver a tongue-in-cheek voice mail message about having "ten secretaries" and such seemingly off-the-cuff, or that he pulls it off – for a non-speaker of the language at the least – while speaking Hungarian (a not so easy language to pick up by any measure).